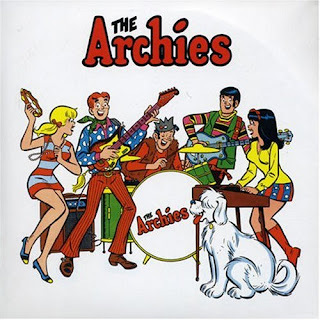 I read Archie comics as kid and still flip through Archie digests when standing in line at the supermarket. I watched reruns of the cartoons during the late 70's and early 80's and I'm familiar with a lot of the music. My intention when I bought this was to get it framed and put it up in the mancave. When I got home though, I pulled out the album and noticed that there was not a single blemish on it. I then got it in my head that I absolutely had to listen to it, but I haven't owned a record player since the early 90's. 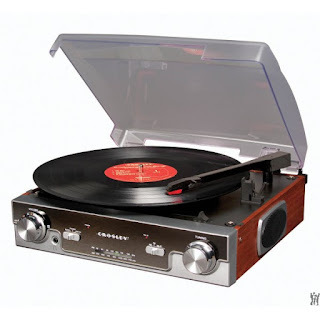 Listening to music on a CD or digital file provides a nice clean, crisp sound but listening to music on vinyl seems natural, the way music should be listened to. Nostalgia does play a part in this, there is a certain comfort level there, so how can it not. It's all about that sound that comes from applying that needle to the album thread, there is nothing like it and I had to hear it and I wanted to share that with my kids. The hunt started for a record player. I wanted something that had some character to it. I started looking for used players from the 60's and 70's, something that had been refurbished or that I could work on myself. After a six month or so hunt I had to settle on a modern unit and there are plenty of models that have a classic look to them, that did not go to well either. Not a lot of good reviews out there for what I could find. I eventually had to make a decision and went with a Crosley CR6005A Tech Turntable, not exactly what I was looking for but it's a start until I can find what I'm looking for. I've picked up only a few albums and I'm going to be writing on what I have and what I pick up in the future. I also reveived a couple of albums as a Christmas gift when I signed up for the annual Comic Geek Speak forums secret Santa gift exchange last year. Heading out to shop for some more, looking for some specific albums but there will be that moment when I come across something that I hadn't thought of and that is always fun. Anything I should look for? What are the top one or two albums you would have to have?